Reball began life the 1970’s as a Ballscrew Repair business. We became a Limited company in 1994 and the business followed a strategy of organic growth through great customer service, fast reaction and a clear pricing structure backed up by World class technical know-how in the field of Ballscrew design. Further investment was made in our manufacturing facilities through the acquisition of a make-to-print Aerospace manufacturing business in 2010 and the foundation of PGM Motion GmbH creating an ideal mix of repairs, manufacturing and commercial activities. Now, with over 700 repair customers in the UK PGM Reball also manufactures a unique range of miniature ballscrews, special integrated actuators and make-to-print flying parts for both Aerospace and Commercial customers. We are particularly experienced in working with Food & Beverage Processing industries. We hold AS 9100 Rev D & ISO 9001:2015 quality standards and work with the World’s leading companies as a key part of their supply chains. With over 500 customers ranging from small service engineers to multi-national OEMs we service, repair and rebuild a range of linear motion systems (components) using an intensive and fully traceable process developed over 40 years. 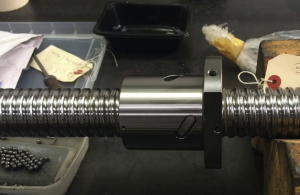 Our standard Ballscrew Repair Service comes with a full inspection report and carries a 3 month warranty. We are often able to provide an immediate quote over the phone for standard repairs. 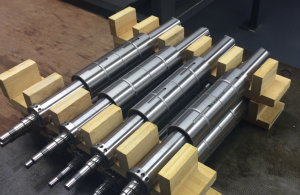 We supply a number of OEMs in the UK and Europe backed up by a technical knowledge of linear motion systems that is probably the best on offer in the UK. We can offer an unbiased solution to meet your needs from a range of manufacturers including Hiwin, THK, NB Linear, NSK and Bosch. We also source components from further afield and from smaller niche manufacturers. 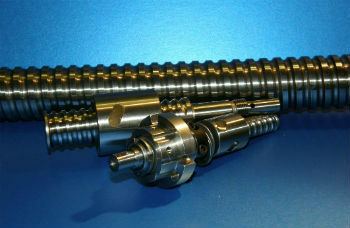 Our in-house ballscrew design capability means you get a great technical solution which is also independent. Made to order in the UK we can design and manufacture miniature and small ballscrews in standard materials to your specification or standard drawing. We also specialise in stainless steel and exotic materials. Our unique Black Titanium™ Linear Screw is extremely light weight and compact and is used for applications requiring smooth running and precise positioning and is particularly suitable for harsh environments.